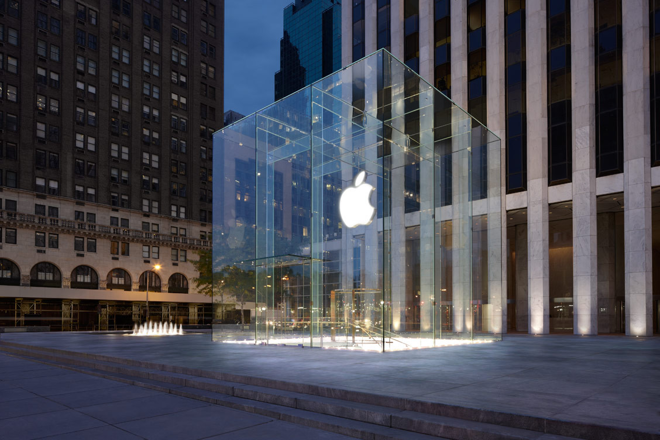 The iconic Fifth Avenue Apple Store glass cube, which was designed in part by legendary company co-founder Steve Jobs, is now a patented ornamental building design sanctioned by the U.S. Patent and Trademark Office. 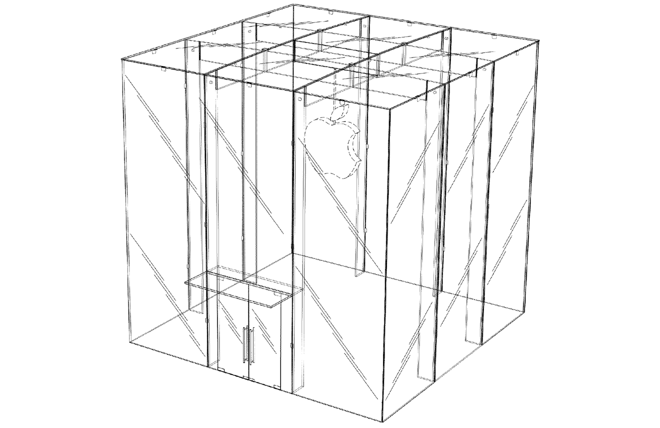 The patent was officially granted this week, and represents the latest design of the 32-foot cube, which uses fewer panes of glass to achieve a cleaner aesthetic. The simpler look came as a result of a redesign that was completed in late 2011. Previously, the cube used 90 panes of glass, but Apple sunk an estimated $6.7 million into the 15-pane redesign at its flagship New York City store. The cube was personally designed by Jobs and is one of the most photographed landmarks in the city. The former CEO even paid for the project himself, and was the owner of the structure. Jobs is actually credited as one of seven inventors of the structure, and is joined by former retail chief Ron Johnson. The other inventors are Karl Backus, Peter Bohlin, Robert Bridger, Benjamin L. Fay, and James O'Callaghan. The term of the newly awarded building patent is 14 years. Apple originally filed for the patent in October of 2012. The all-glass design has even inspired other projects from Apple, including its megastore in Shanghai that opened in 2010. Like the Fifth Avenue store, its entrance is a staircase enclosed in glass, though the one in China is a cylinder. Apple was awarded a patent for its design last year.